What kind of legal assistance is needed for probating an estate? Unless real estate is your business, it’s unlikely that you’ll be able to cope with all the complexities that come with Tennessee Probate law. The process is riddled with deadlines and details – a good lawyer can navigate you through the legal jargon with ease, but alone… The odds are not in your favor. In some places, such as Davidson County, fiduciaries filing to probate an estate must do so via a licensed attorney. Is there a specific county in which I need to file probates for a deceased person’s will? The basic response to this question is that probate petitions for a deceased individual are to be applied within the county of residence at the end of his or her life. If the deceased claims more than one qualified residence, any county in which such an estate resides is an acceptable county to submit a petition. What amount does Inheritance Tax exemptions cover in Tennessee? 2016+: Inheritance tax no longer exists in Tennessee. 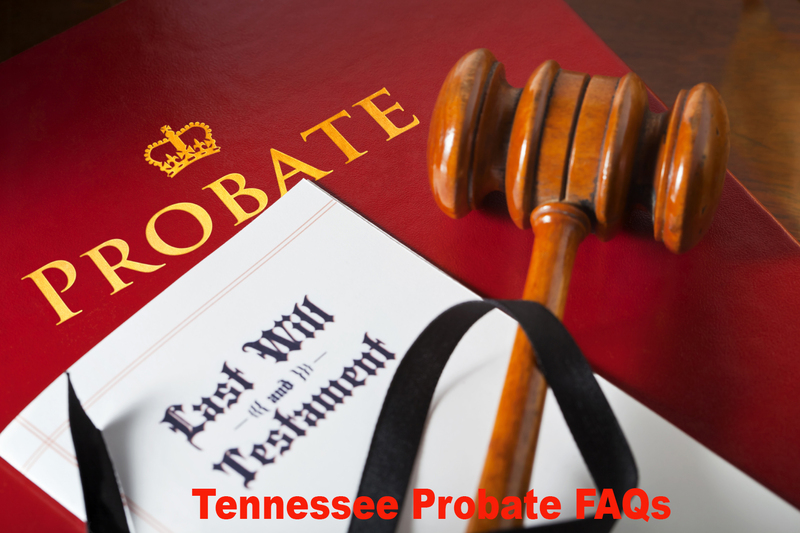 How does Tennessee recognize probate assets? Retirement plans which reveal the beneficiary to be the decedent’s estate (IRA, 401K, etc.). Assets without beneficiaries, or involved with some form of joint ownership, in the name of the decedent. Why do people in Tennessee usually have wills? Decrease chances of tension between family, prospective heirs or beneficiaries, and close friends when you die. Clarification of your intentions to identify who will succeed you as your children’s legal guardian upon your death. Allocation of assets and other resources – where your stuff goes when you die. Are any assets not considered probate by Tennessee courts? Assets existing in deceased’s name, with entire ownership transferring to joint owners upon death via right of survivorship. Such assets are transferred promptly post-death to the other persons in question. Who gets custody of your child? Who gets to run your estate? Where will your assets go? Who is trustee of my estate? What about my children? What are the kinds of wills offered in Tennessee? Who is applicable to be potential conservators for disabled people? Other persons deemed acceptable by court. Who can request for a conservator’s appointment in Tennessee? Tennessee law allows anyone related to the case to file a petition for a conservator, as long as he or she can prove comprehension of a given situation. In Tennessee, what are the qualifications for those wishing to prepare a will? The only prerequisite for persons in Tennessee wishing to make a will is that he or she be of “sound mind” and over the age of eighteen (18) years.